Originally a geologist, Greg began learning the craft of photography as a tool in scientific investigations. Over time, a passion emerged for the art of photography and a zeal for capturing the magnificence of nature. Eventually Greg made the career transition to full time photography. He has devoted many years refining his craft to artistically preserve the magnificence of nature through photographic art. 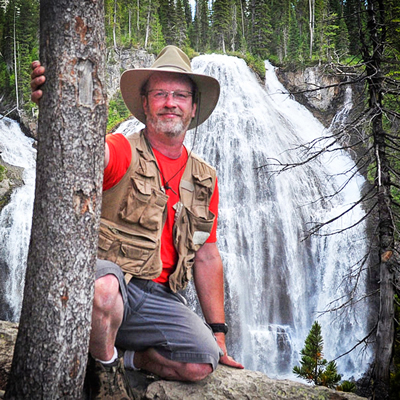 Greg specializes in fine art nature photography, with particular emphasis on the American West including Yellowstone and Grand Teton National Parks near his home in eastern Idaho. His goal in photographing the natural world is to overcome the inherent limitations of traditional photography to produce images with depth and perspective that artistically represent the beauty of our natural environment. The human eye is far more capable than any camera at seeing the beauty of a natural scene. He strives to overcome that gap. The sense of awe inspired by nature's magnificence is what he attempts to translate from nature to every photographic image he produces. After many years exploring our western national parks, including countless trips to Yellowstone and the Tetons, Greg has developed an intimate familiarity with some of the best landscape and nature scenery the west has to offer, resulting in a collection of many excellent pieces. His work is exhibited and sold from the Norrell Gallery of Photographic Art in Idaho Falls, and available online from several websites including this site, and sites specific to Yellowstone and the Tetons. For those who'd like to keep track of Greg's ongoing work, please follow him on the social media icons at top.